After 1945 many tribes formed committees and boards to look after the broader interests of their people. 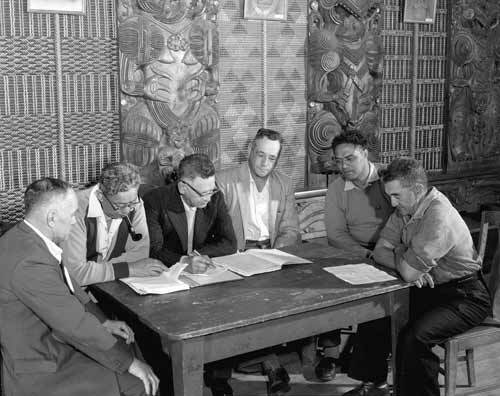 This is a Te Āti Awa tribal committee meeting in progress at Waitara, north Taranaki, in September 1962. The participants are, from left, Rangi Bailey, Harry Matuku, Cocky O’Carroll, Jim Nicholas, Peter Marshall and Ned Brown.